Crisis Intervention Services are unscheduled activities conducted for the purpose of resolving a crisis situation requiring immediate attention. 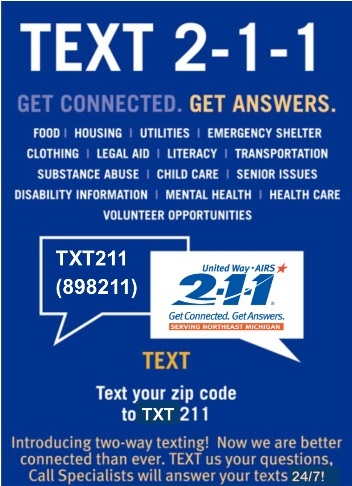 Activities include crisis response, crisis line, assessment, referral, and direct therapy. The adult or child’s judgement is so impaired that he/she is unable to understand the need for treatment and that his/her condition is expected to result in harm to himself or herself or another individual in the near future. Huron Behavioral Health’s (HBH’s) Crisis Services Department provides 24 hour, seven day per week, triage for all persons experiencing a psychiatric or mental health emergency. The Crisis Services Department provides evaluation and screening for inpatient psychiatric hospital admission for persons with Medicaid or those who are uninsured. 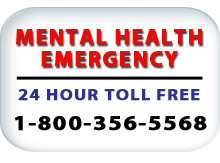 If you have a mental health emergency, you should seek help right away at any time during the day or night. Walk In to HBH’s Clinic at 1375 R. Dale Wertz Drive, Bad Axe, MI from 8:30 a.m. until 5:00 p.m.